Sheree Schrager, managing director of Research and Sponsored Programs. Since joining CSUN in 2017, she has overseen the department, ensuring that grant writing, research and reporting meet the complex requirements of each project sponsor. Photo by David J. Hawkins. 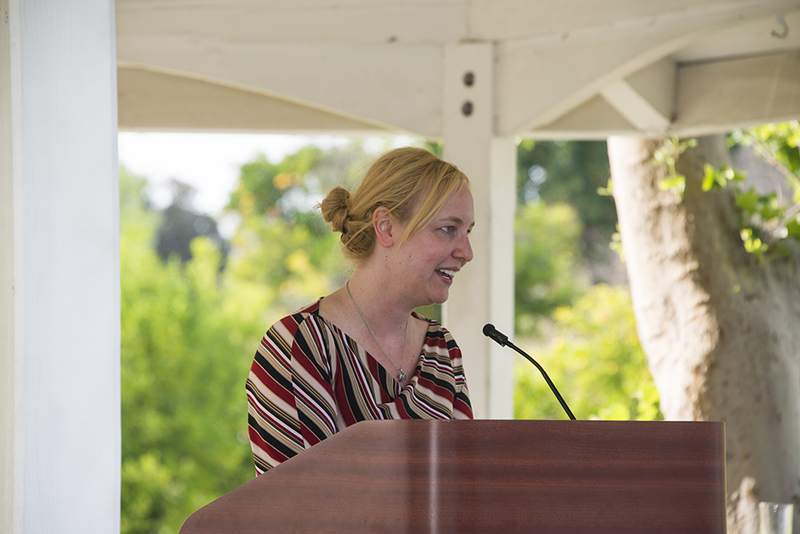 Sheree Schrager, managing director of Research and Sponsored Programs, speaks at the 2018 Principal Investigators Recognition Event on May 10 at the Orange Grove Bistro. Photo by David J. Hawkins. ​For decades, California State University, Northridge has been developing a robust reputation for research. At colleges and universities, research is crucial — a key factor in separating institutions from the pack. In the past few years, CSUN has done just that. In fall 2016, the ​Nature ​journal ​lauded CSUN as one of North America’s top 25 rising stars in science. One of the key players in advancing research funding at CSUN is Sheree Schrager, managing director of Research and Sponsored Programs. Since joining CSUN in 2017, she has overseen the department, ensuring that grant writing, research and reporting meet the complex requirements of each project sponsor. In her first year, CSUN had received funding for more than 370 sponsored projects in a variety of disciplines. Outside grants and contracts employed 501 undergraduate and graduate students at CSUN, totaling $1.98 million paid to students. An additional $2.98 million was allocated as scholarships and financial assistance stipends to 560 students. In an effort to increase this impact, the university has made an effort to hire new research-focused faculty and attract greater funding for new research opportunities. Schrager is well-versed in the realm of research — she’s conducted research and published extensively on issues such as LGBT mental health and opioid abuse among young teens. With experience on the inside and outside of the research process, Schrager has been working tirelessly to secure funding for research at the university. For colleges and universities, research also builds prestige. When a college receives funding for a research project, the ripple effect is almost immediate. Professors are granted time off from teaching to pursue research, and often, students have the opportunity to work as research assistants to help with the logistics of the process. CSUN has distinguished itself from other universities by offering hands-on research opportunities to both undergraduates and graduate students, who gain valuable experience in labs and in the field. CSUN believes that students’ participation in research with faculty deeply enriches the quality of their educational experience. CSUN has been at the forefront of many recent major research projects. For example, ​the Tom and Ethel Bradley Center received a grant for $315,000 from the National Endowment for the Humanities (NEH) to create a digital database of the Richard Cross 1950-1980 Photographic Collection. Another project, led by professor Yohannes Shiferaw in physics, focuses on studying atrial fibrillating, an irregular and often rapid heart rate that can increase the risk of stroke, heart failure and other heart-related complications, with funding from the National Institutes of Health. 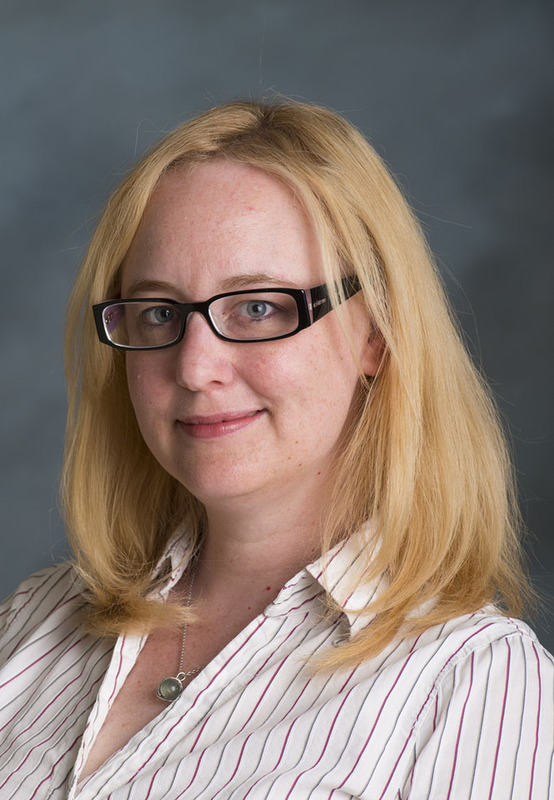 As a methodologist, Schrager acts as an adviser to CSUN’s researchers throughout the grant and research process. Her mission, she said, is to help CSUN faculty and students continue producing valuable research that benefits not only the university, but the world.